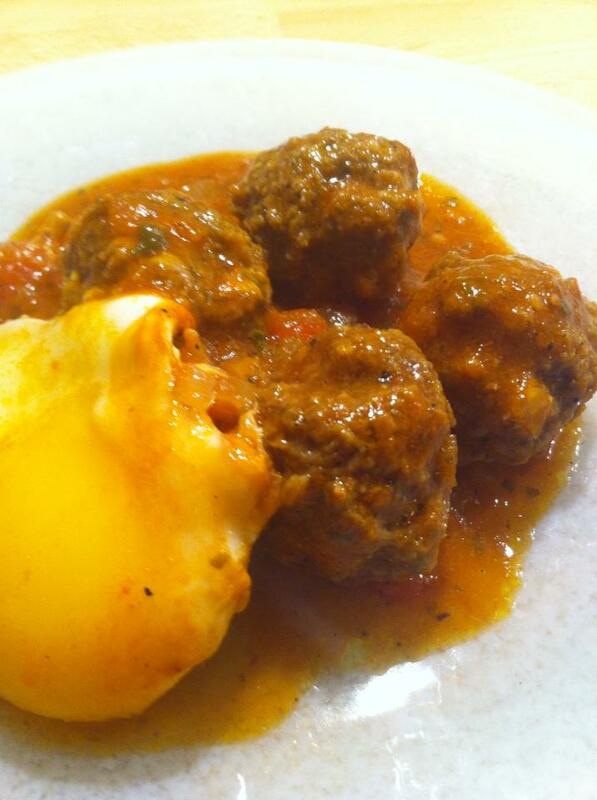 Moroccan meatballs with egg and tomato are among the tastiest available . The spices add up to a lovely symphoni .The eggs turned down when the meatballs are almost done. And may take the taste of the sweet tomato sauce. Mix the breadcrumbs with milk and spices. Let stand about 1 hour. Add the remaining ingredients for the meatballs. And stir until smooth . Let stand 1-2 hours. Meanwhile, fry the onions soft, add tomatoes and spices. Let simmer until it has been thick. Roll the mince into small balls and place into the tomato sauce. Simmer for about 15 minutes. Lay in the eggs. Do not stir , but lay on the lid. Let it simmer for about 5-10 minutes or until the eggs look cooked through . Eaten with bread.